If you are confused by the range and sheer volume of 4WD GPS options available, our 4WD GPS review included some top 4 WD brands to help you clarify what type of navigation system may best suit your adventure needs. We found the biggest difference between an on-road and an off-road GPS is not the features, capability or functionality but in the actual mapping content. 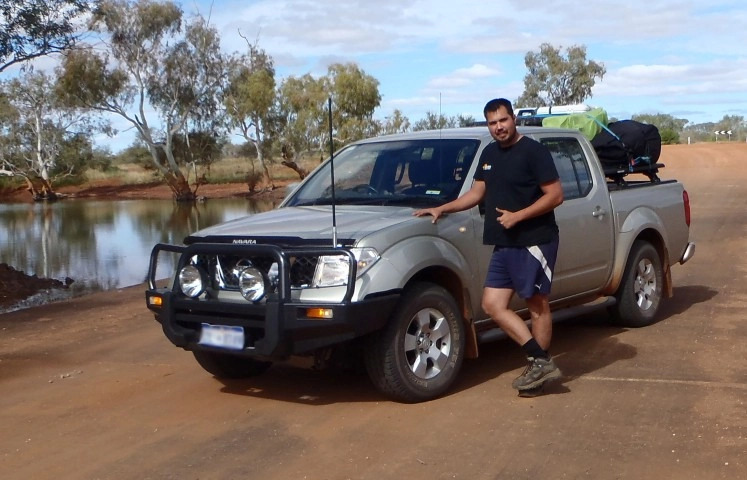 Ideally, you want to look for a 4WD navigation system or off-road GPS that combines street navigation and specific 4WD touring features to guide you on remote or urban adventures in Australia. When deciding on a 4WD GPS you should consider looking for the following features such as turn-by-turn navigation, topographic mapping, points of interests (specific to 4WD touring) such as campsites, viewpoints and geographical interests. When it comes to choosing a Navigation system for your next off-road adventure you will not be left short for options when it comes to GPS units. Daily technological advancements mean 4WD GPS units are becoming more affordable and offer a range of features and functions. 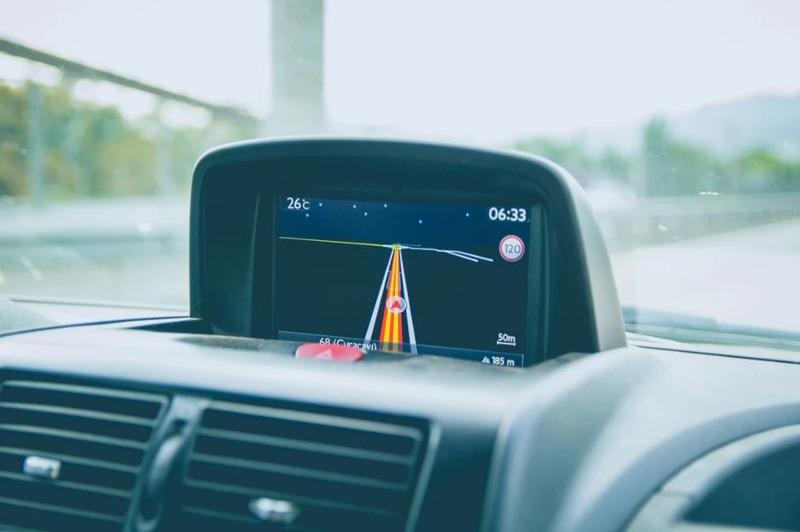 Navigating off road has become more and more accessible so if you are in the market for a GPS read further we have outlined some key information to consider. What Are The Advantages Of A 4WD GPS? What Type of 4WD GPS Do I Choose? How Accurate Is A 4WD GPS System? Does A 4WD GPS Come With A Warranty? What Happens If My Device Or App Is Faulty? When you’re truly getting out and about off-roading, a standard GPS isn’t going to cut it. The biggest difference is the mapping content. An on-road GPS offers basic line data to provide directional orientation. This means that it will only give you information on roads ( gravel and asphalt ) buildings and landmarks but all that information isn’t very helpful when it comes to visual navigation. A good off-road map will have topographic mapping and street mapping. Topographic mapping is important for a 4WD GPS as it shows you the contour lines, geographical features, 4WD tracks and unsealed roads. An on-road GPS has basic details on unsealed roads but for detailed 4WD tracks and national park tracks, there isn’t a lot of information. Using an off-road GPS provides the advantage of information about off-road tracks sealed and unsealed and actual terrain highlights. Whether you prefer a handheld device or a dedicated unit we can certainly say that a quality GPS system is a worthwhile investment. Not only is a navigation device important when exploring unfamiliar areas it can also serve a valuable safety device, particularly when exploring remote areas. When it comes to deciding on which GPS unit will best suit your needs whether it is a specified unit or a smart device, there are certain things you should look out for. Not all GPS’ are the same and differ vastly from usability to their range of functions. A general rule is that the cheaper they are, the less robust they are and often offer fewer features such as screen size, screen clarity and fewer functions. This is almost a non-negotiable feature you will want to see on your GPS, especially for off-roading. This allows you to see the contour lines of the landscape, which could essentially help you avoid driving up to a oneway cliff face or getting stuck in a deep gorge. Offline mapping is a great feature and especially valuable when travelling remote areas. Offline mapping allows you to download and use maps when you have no cell coverage or internet connection. You don’t want to get lost because you lost service! There are three main GPS units – smart device, in-dash GPS or portable GPS. A smart device includes a phone, laptop tablet, iPad etc. These devices can be used as a GPS for your off-road adventures. They have a variety of advantages. The more popular features include the ability to record your journey, take geo-tagged photos and easy sharing. These are great features to recount your trips and take notes of what you like and don’t like while being able to share them with family and friends. You can also download topographic maps and other maps from different sources if your app/ software doesn’t have what you are after. Many of these maps will include points of interest as well as amenities. Depending on what you value in a 4WD GPS some of the disadvantages include multiple interfaces. When you are downloading an app or software you may be required to use more than one program to get all the same information as a dedicated GPS unit. Processing can lag as your smart device isn’t necessarily dedicated to navigation only. If you lose cell coverage and don’t have offline maps this could pose a navigation problem and then there is the issue all smart devices have which is battery life. If you are mainly travelling by car, you don’t have to worry too much as you can charge from your vehicle. However, if your hiking or walking trails you need to be prepared in case your battery dies! You may also come across issues with storage space for maps, photo, videos etc. In-dash units are a sound solution when it comes to off road maps. They are able to Bluetooth process everything in one unit from music to maps. If you like things to be neat and tidy this option is for you because all the wires are hidden and it is a clean and neat look. The bonus of in-dash units, they tend to have a bigger screen size, many points of interest, topographic maps and the ability to place waypoints. Unfortunately, most units these days that come standard in cars prohibit third-party access. This means that you are unable to install or download new software or maps. The best solution around this is to purchase an aftermarket in-dash unit and install it. Many of these allow third-party access. These units do have a higher cost as they are all in one. A portable device is a great option if you enjoy your off-road driving and then jumping out and hiking or walking around to explore the trails. You also have the added bonus of being able to share with family, friends and between cars! Depending on the unit you purchase you can still get the same benefit of in-dash or app GPS systems, such as points of interest, waypoints etc. There a couple of issues when it comes to purchasing one of these units. You will not be able to leave it in your car unattended because they are visible and easily stolen. They often have a smaller screen and can look untidy in a vehicle due to cords and mounts. *Price ranges due to the devices RAM, features like WiFi, geotagging, touchscreen and the display resolution. Remember to spend time learning your new GPS whether it be an app or a specified unit BEFORE you go out adventuring! There are a few popular options that everyone tends to gravitate towards when it comes to purchasing a GPS, whether it is an app or a unit. We recommend you seek the advice of professionals that can guide you on the best product that will suit your needs and style of off-road driving. There are many products in the Garmin range and most off-roading enthusiasts speak highly of its quality and capability. Depending on your needs they have dash units, portable units and apps. Many Gamin users make use of Garmin Basecamp in conjunction with a GPS unit. This allows you to add waypoints, notes, other’s track logs, upload information etc. You can plug this into your laptop and load up all the maps on basecamp which is easy to use and export your GPX files etc. Hema is one of the easiest navigation systems to use. You can add notes and photos which is a bonus! Hema allows access to most Australian maps nationwide, which is great when you want to explore further afield and there is no cost for extra maps (unless needed). It is priced slightly higher to accommodate for the purchase of a map license. This is predominately marketed for casual users. It comes with maps that have basic coverage of the country. There is the ability to download extra free maps for most 4×4 destinations. This app will also show you information from points of interest, facilities and amenities. You also have the added bonus of being able to save and share your waypoints. One of the major features of VNS Map is the 3D mapping feature. This feature allows you an overview of the terrain at a glance, giving you the option to re-route. The app includes a topography map set, general overview maps with points of interest etc and the ability to download additional maps. This brand has a range of units to suit all 4 WD needs. This brand provides detailed maps with useful information including the standard features such as waypoints, route tracking etc. The only downside to this brand is that many users report that the unit is not as user-friendliness as some other brands. This is a great app option as it bridges the gap between high-end mapping and crowd-sourced information. An app that shines due to its crowdsourced information that allows it to be updated constantly and remains relevant. There is a variety of maps with plenty of detailed reviews, notes, coordinates, contact details, amenities etc. The standard features of waypoints still exist as well as the feature of recording and planning your routes. With Ozi Explorer you can purchase a variety of devices from Android, IOS and PC, this is great when you want to plan out your journey on the PC and then transfer it to your device. The OZI platform isn’t cheap for PC (it is for android) but many say it is worth the investment. Many in the 4WD community who use this platform say you really need to have both, to get the full potential, especially when planning. Using Ozi Explorer allows you to track your trip, drop waypoints, viewpoints of interest, information on campsites and more. A great advantage of this platform is that you have the ability to use google satellite and maps which you can scan in and load yourself (or maps from other sources). This is an app for your smart device by Ozi explorer. It is a comparable favourite in the 4WD community. You have the ability for offline mapping which is great and free access to detail maps, meaning no subscription fees! If you get a membership you can track your journey and send it to a web page for updating and adding new content. This is a program that is designed for downloading, calibrating and saving a variety of maps from many sources (ie google maps, open street map, open topo map etc). You can save the maps in formats that are supported by Ozi Explorer (.map), BSB.KAP, Garmin JNZ, and even Tom-Tom – this could come in handy in getting geoview tenement maps on a handheld device, but you can also update and add various maps that you require. This is a crowd-sourced information overlay on Google Maps. There are a variety of filters which can show you everything from campsites and landmarks to dump points and caravan parks. Each point shows you relevant information (such as phone numbers, websites and amenities) as well as coordinates. Due to the information being crowdsourced there is the issue of reliability but it is constantly being updated. Now, we have covered everything from features and brands, deciding on which unit and software to go can be challenging. The best way to go about narrowing down the list is to decide what your ‘must haves’, wants, needs and ‘not so important’ features are. Here are a few typical matches you may find helpful to consider. Remember to have paper maps in your vehicle when travelling remotely just in case your GPS unit malfunctions. It always pays to have a backup solution. Practice using your GPS and spend time learning about the features and functions to get the most out of your unit. GPS systems are constantly updated and improved. Many systems have compass sensors and multi-directional antennas which give an accuracy between 3 and 5 meters. I would be more cautious of crowdsourced apps and maps as they may not provide transparency in the interpreted information. Many purchases will come with warranties. Each warranty will vary depending on the manufacturer, but they range from 6 months to 1 year+. When this happens its best to contact the manufacturer or retailer immediately either by email or phone. Remember to keep receipts and purchase information, retailers will be reluctant to help without this documentation.